The Epicure 3.0 is a speaker designer's fantasy come true in many ways. The cabinet is a truncated pyramid with the tweeter mounted on top in a small round plastic capsule. The grills are designed to offer no acoustic interference. The cabinet is lined with damping material and reinforced with cross braces. The 10" woofer, 6" midrange, and 1" concave dome tweeter are all optimized for the overall design. They sound good, too! Dimensions: 41 3/8" x 16 1/2" x 16 1/2"
The floor standing Model 3.0 is Epicure's finest speaker system. The design goals were: flat response over a wide bandwidth, wide dispersion, low distortion, and excellent transient response. While few would dispute that these qualities are necessary for any really fine speaker system, the manner in which the Epicure engineers set out to achieve them is somewhat unconventional. The rounded edge, truncated pyramid shape of the Model 3.0 resulted from the designers' decision that low time delay distortion (that is, phase linearity) was a necessary prerequisite for the type of transient response they were seeking. 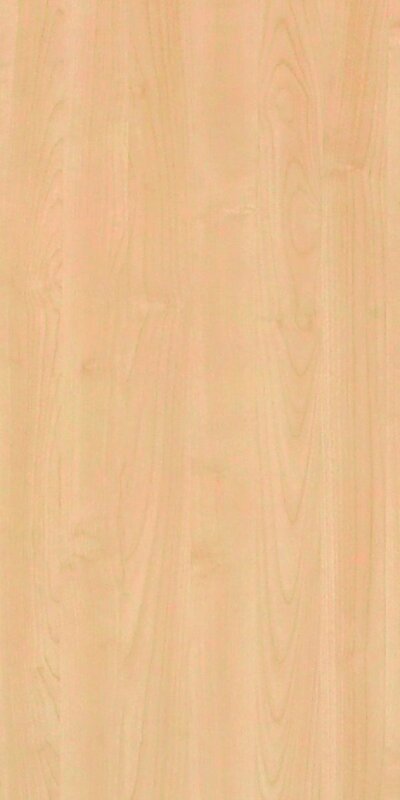 Their studies convinced them that reflections from the edges of both conventional and "stepped" cabinets were major contributors to the "time smear" effect they wished to eliminate. The 3.0's cabinet is free of the discontinuities that, in EPI's view, often negate the benefits of special physical driver arrangements. The enclosure was also designed to minimize cabinet surfaces around each driver so as to make it relatively "invisible" at the corresponding acoustic wavelengths. The shape of the cabinet places the drivers effectively in a single vertical line, achieving phase alignment without a stepped cabinet and the problems it is said to cause. In addition, the rounded edges of the cabinet further reduce the reflections that can take place when sound waves impinge on sharp edges. The 10 inch acoustic suspension woofer, which operates up to about 400 Hz, occupies the lower portion of the pyramid, a volume of about 2 cubic feet. The cone center is about 22 inches above the floor. Above it, in a separate sealed section of the cabinet, is the 6 inch cone midrange driver, which operates up to 2,600 Hz. In selecting a relatively large cone driver to cover the midrange, Epicure departed from the general practice among speaker designers, many of whom prefer to use domes or small cones. These require either a relatively high crossover frequency or steep cutoff slopes if the system is to have a large power handling capacity. The Model 3.0's midrange driver operates as a small acoustic suspension system with a low frequency limit of about 75 Hz, which permits the midrange output to roll off mechanically at a 6 dB per octave rate. The woofer's high frequency response is rolled off by a network at a 12 dB per octave rate. The tweeter of the Epicure 3.0 is a one inch inverted dome type, mounted in its own miniature enclosure (about 2 inches in diameter) at the top of the pyramidal cabinet. It is covered by an acoustically transparent, black foam plastic cap that matches the grills over the other drivers. The crossover between the midrange driver and the high frequency driver is at 2,600 Hz, with a slope of 18 dB per octave. Ferrofluid is used in the magnetic gaps of these drivers, both to damp resonances and to conduct heat away from their voice coils (thus improving their power handling ability). Space unfortunately does not permit a full discussion of the many novel and interesting features of the Epicure 3.0 system. A few, however, are worth mentioning. The nominal 4 ohm impedance has been designed to be as nearly resistive (uniform with frequency) as possible. The dispersion of the system at high frequencies is unusually good, as evidenced by the specification that the response from 32 to 10,000 Hz varies only by 3 dB over a 180 degree angle in front of the speaker (in the horizontal plane), while from 10,000 to 18,000 Hz the variation is only 4 dB over the same angle. The speaker efficiency is fairly low, but it can be driven satisfactorily by amplifiers rated to deliver from 30 to 100 watts per channel continuous output (the speaker will withstand peaks up to 500 watts). The Epicure 3.0 is 41 3/8 inches high and 16 1/2 inches square at the base, tapering to 8 1/2 inches square at the top. It weighs 87 pounds. The wood cabinet is finished on all four sides in oiled walnut, with the two black foam grills on the front and the "cap" on top over the tweeter. Production models have a three position high frequency level switch next to the tweeter, but our test sample lacked this feature. The connection terminals are underneath the enclosure. Price: $575 each. The Epicure Model 3.0's overall frequency response, combining the semi-reverberant listening room measurements and a close-miked woofer measurement, was flat within +/- 3 dB from 25 to 20,000 Hz. Considering the totally different conditions under which our data were obtained, the agreement with Epicure's rating of 32 to 20,000 Hz +/- 3 dB was gratifying. Although we did not carry our measurements beyond 20,000 Hz, the output was rising as we approached that frequency. The only departure from "flatness" that we could see in the composite frequency response curve was a depression, averaging only about 2.5 dB in amplitude, between 400 and 5,000 Hz. However, the reverberant measurement as we make it is not really precise enough to establish the "reality" of that small deviation. There was no doubt, however, about the high frequency dispersion of the Model 3.0. In our measurements it was indistinguishable from that of any of the "omnidirectional" speakers we have tested. There was essentially no difference between the response curves measured on axis and about 30 degrees off axis all the way up to 18,000 Hz and beyond. Although tone burst tests are, at best, a crude indication of a speaker's transient response properties, the bursts we measured from the Epicure 3.0 were very good at all frequencies, including the crossover regions. The speaker sensitivity was fairly low, as one would expect from any acoustic suspension system, so a 2.8 volt input of random noise in the 1,000 Hz octave produced an 84 dB sound pressure level (SPL) 1 meter from the grill. This corresponds to 2 watts into the speaker's nominal 4 ohm impedance. As we have pointed out in the past, this is not an efficiency rating, but rather a measure of how loud a sound the speaker will produce for a given drive voltage. Epicure's emphasis on low distortion has born fruit, as shown by the bass distortion measurements we made. At I watt (2 volts) input, the total harmonic distortion (THD) was well under 0.2 % at 100 Hz and increased very slowly with decreasing frequency to 0.45 % at 50 Hz and 0.75 % at 40 Hz. Even in the deep bass the woofer maintained its linearity; the distortion was a mere 2.2 % at 30 Hz and 5 % at 20 Hz. With a 10 watt input, the increase of distortion was slight, reaching 2.2 % at 35 Hz and 8.9 % at 20 Hz. The impedance curve, except for a rise to about 25 ohms at the woofer resonance of 33 Hz, was at or near 4 ohms from 100 to 10,000 Hz and rose to about 7 ohms at 20,000 Hz. Clearly, this speaker will not present any unusual load conditions to any amplifier - for all practical purposes, its impedance is equivalent to the resistive load normally used when testing amplifiers. The Epicure 3.0 has a distinctive sound character, and we spent hours listening to it and comparing it with other speakers in an effort to isolate and identify its special quality. What we heard was only partially explainable in terms of frequency response, which can account for the overall smoothness and a balanced sound that never screamed or honked, thudded or boomed. This is a "flat" speaker, to the extent that any speaker can be so described, and it does not emphasize or diminish any part of the audio frequency spectrum. Still, we have heard other speakers that measured as flat or flatter, and they did not sound like this one. The 3.0 is meant to be used free standing, without reinforcement from room boundaries (although some interaction with the floor is probably unavoidable). Knowing the bass response, we were surprised how little apparent bass the Model 3.0 had - until such sounds as the drums in Stravinsky's Firebird made it plain that the speaker could deliver whatever the program called for with no strain whatever (we measured 200 watt peaks into the speakers on those drum beats!). 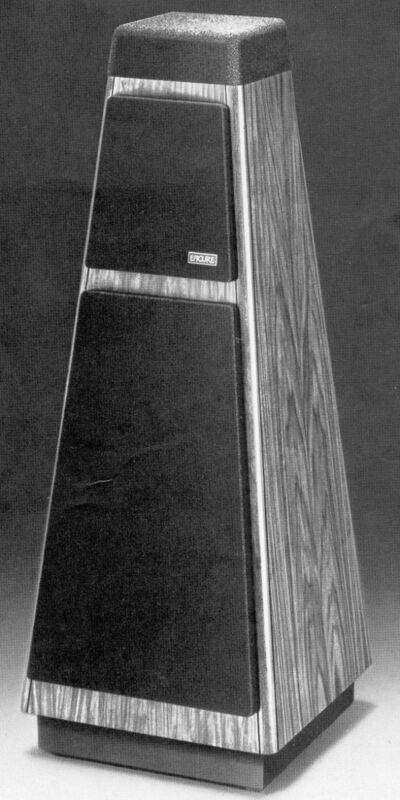 The apparent lack of bass on ordinary program material indicates an absence of boom or artificial coloration in the upper bass, and this is one feature that sets this speaker aside from many others. We suspect that the directional properties of the Epicure 3.0 (or, more accurately, the lack of directional properties) had the most to do with its sound quality. The speakers had a diffuse, blended sound that filled a hypothetical stage at the end of the room. This was strikingly obvious when we switched to other, conventional bookshelf speakers on that same wall, not far from the 3.0's. 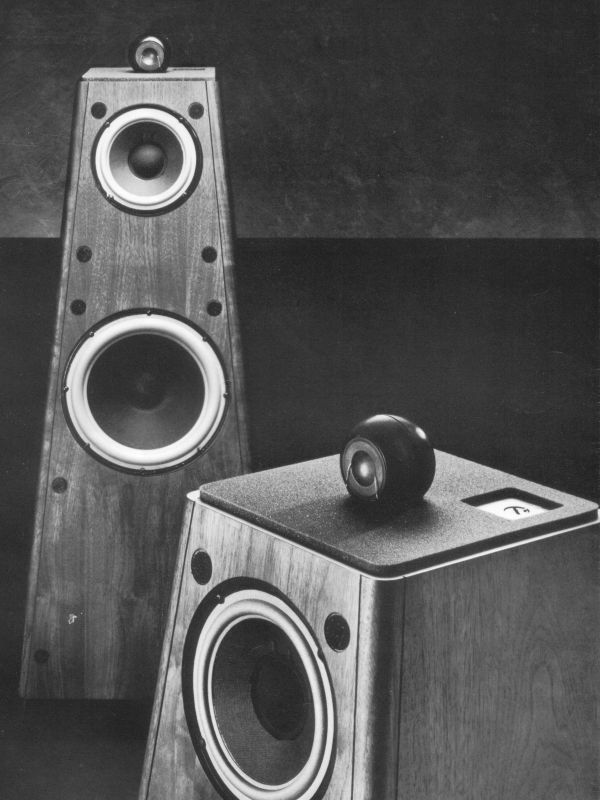 These speakers had an octave to octave sound balance and general sound quality not unlike those of the Epicure 3.0. Although the frequency response did not change much when we switched, the entire spatial distribution of the program did. The bookshelf speakers sounded like a pair of good compact speakers (which they were), but the Epicure 3.0's unmistakably opened up the end of the room, providing a sense of depth and ambiance similar to the effect of a good time delay enhancement system. In fact, when we first listened to the 3.0's and noted this quality, we realized that our own time delay system was operating (this is not desirable when one is trying to judge speaker quality critically). When we shut it off, the change in spatial distribution was remarkably small, almost as though the 3.0's were duplicating some of the effect of the delay system, though only in the front of the room. This diffuse, open sound quality had no negative effect on stereo perspective. Quite the contrary: the Epicure 3.0 has an exceptionally well defined "stereo image." We normally do not use that overworked and over emphasized expression, but this speaker really can position specific sounds in definite locations. We do not find this effect very often in live music, but it is certainly highly regarded by many audiophiles. For those who especially prize it, the Epicure 3.0 has this quality in full measure. The Epicure 3.0 is not inexpensive, but it is very handsome and not so large that it is visually overpowering in normal size rooms. The need to install the speakers well away from the walls should pose no aesthetic problems, since their shape is fundamentally that of a stable, free standing structure and they look very much "at home" when so placed. The Epicure 3.0 is a very respectable entry into the ranks of top quality speakers. And thus ends the review.